Welcome to PALE-Blu project website. 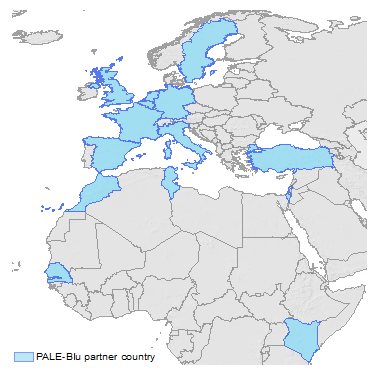 The PALE-Blu project brings together leading laboratories in Europe with established track records working on the epidemiology, modelling, vaccinology, diagnostic systems, vector biology, pathogenesis, transmission and control of Bluetongue virus (BTV) outbreaks, together with established institutes in several other countries that represent a potential ‘source’ of the BTV strains that continue to invade Europe. Bluetongue virus is one of the most important livestock pathogens, capable of infecting all domesticated and wild ruminant species, causing severe clinical disease (fatalities) primarily in sheep and some deer species, but with reduced productivity in other ruminant species (e.g. cattle). The virus is transmitted by Culicoides biting midges and was previously confined to tropical and sub-tropical regions but is now endemic in several Southern European countries. 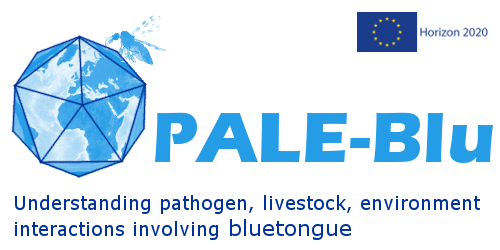 The PALE-Blu project dissects the interplay between the Bluetongue virus, its ruminant hosts, insect vectors and the environment. 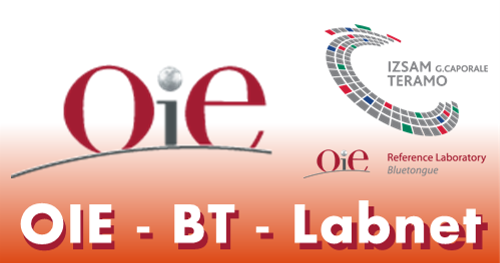 The project partners utilises new and existing methods to explore the molecular epidemiology of BTV strains circulating in Europe and related source-regions (including Northern, Western and sub-Saharan Africa, the Middle East and Turkey).